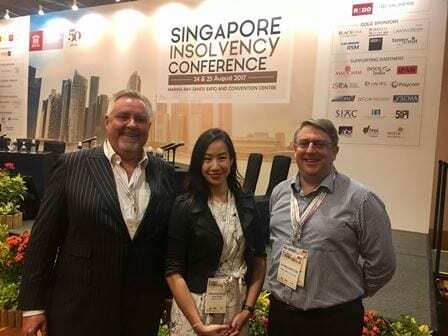 Three members of our Restructuring and Insolvency Practice (Co-Heads Ian De Witt and Robin Darton, and Solicitor Veronica Chan) were recently in Singapore to attend the Singapore Insolvency Conference, of which we were Gold Sponsor. Restructuring and insolvency in the offshore oil & gas and marine sector. Keynote speakers at this year’s event included Singapore Minister for Home Affairs and Minister for Law K Shanmugam, Honourable Justice Kannan Ramesh, Honourable Judicial Commissioner Aedit Abdullah and Honourable Justice Belinda Ang Saw Ean.